Fair in Lovely Running a New Promotional Offer ” Fair and Lovely Beauty Classes” in which they are offering 10 Rs Just for participation. - Valid from 27th May, 2016, and ends on 5th July, 2016. • They will ask about your gender, male or female. Select 1 if you are female and 2 for male. Only female will qualify for this offer. • Answer Next Question as 1 and They Will Provide You The Tip to look more Beautiful. 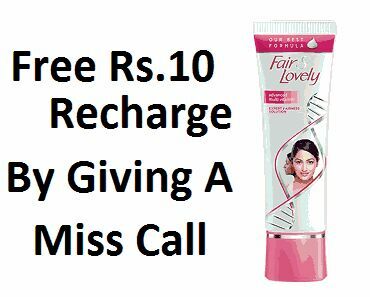 • Now You Will Receive a Message Saying Thank you for completing your first Fair And Lovely Class . T&C Apply. • Now Reply to the two questions Asked And you will receive 10 Rs. instant top up on that Number. - The Fair & Lovely Beauty Class Offer (“Offer”) begins on 27th May, 2016, and ends on 5th July, 2016. - There will be no acceptance of any entries for any reason after the Offer ends. To participate in this Offer, a consumer needs to. 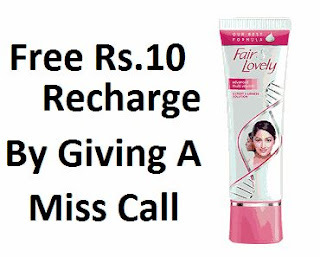 - Participate in the Fair & Lovely Beauty Class call, and follow the IVR instructions. - Give the right answer to the questions asked in the IVR Upon providing the rights answers to the questions, the participants would stand a chance to win, by a system of lucky draw, a recharge of Rs. 10.